Classic French Equestrian! Art Deco Antique Lithographs of Horses! Classic French Equestrian! Art Deco Antique Lithographs of Horses! If you want to finish your room in a classic French equestrian decor. Look no further! 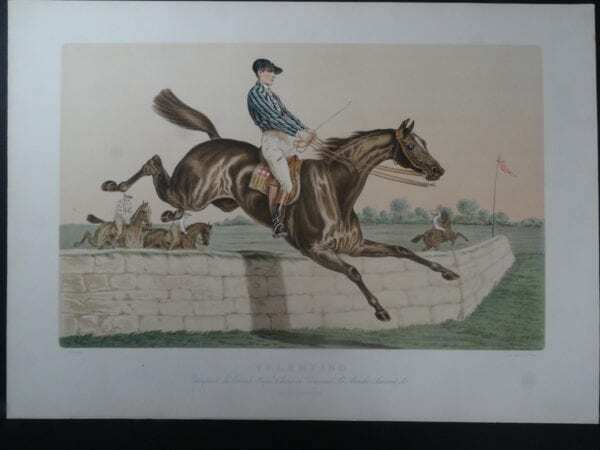 You will find these antique horse lithographs a perfect compliment for your home! 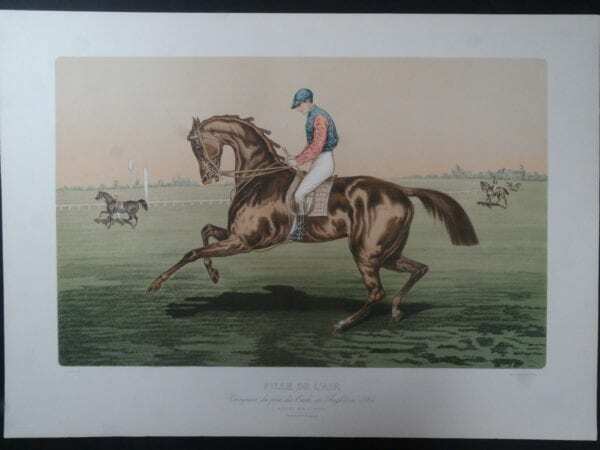 Race on over to Anne Hall Antique Prints for details on the pair for $500. These fantastic antique horse prints are actually large old French Posters. They were published c. 1930 by the most famous of all printing companies in Paris. The publishing company responsible for their production was named Le Mercier Publishing Company. They were the best of the best! Perfectly sized artwork when shown as a pair over a sofa. A touch of classic French equine decor for your wonderful Art Deco room…? The Horses names are La Fille and Valentino. Priced at $350. each or $500. for both. Valentino Click Here to Buy Now. Fille De L’air Click Here to Buy Now. Chromo means color. Lithography is the art of printing from limestone slabs. Chromolithography is antique printing method. A lost art of the 19 Century to the early 20th Centuries. A certain kind of limestone came from a certain part of Germany. It had the right consistency or porosity to become a printing slab of stone. A type of a greasy crayon was used to draw the image sought to be seen. Emerged into nitric acid, the stone unprotected by the greasy crayon was burnt away. What was in relief, was going to be the image. Multi complicated… each and every color was applied with a key stone limestone plate. Imagine if you will… the talent required to produce large posters like these. The skill of getting the registration just right. Once again I point to the long apprenticeships served by those involved from paper making to printing. And at extremely low pay. If you were good apprentice, which was served for years, then you would move forward. If you were not, good at least, then you were in the streets LITERLLY.